I started my day looking at the asian session of the ES. I looked at the pre-market DAX quotes. The result was envisioning the market opening lower and bouncing and testing previous day's VAH. I placed three orders before the open near the VAL of yesterday in the BUY ZONE. Only one got filled so I was only 33% long. 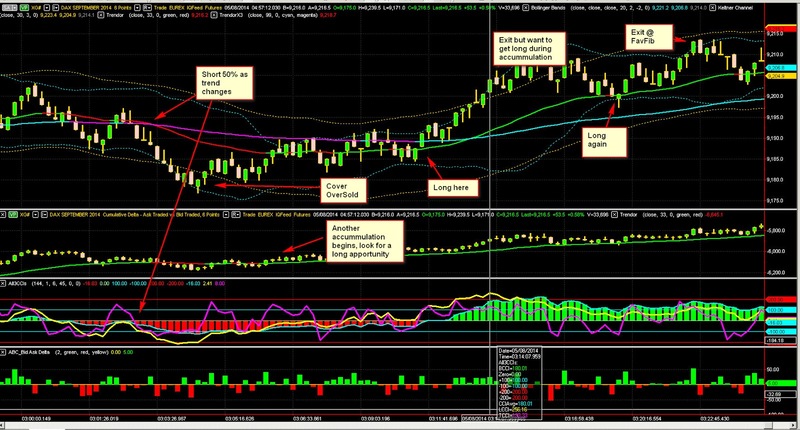 From there, for the next two hours or so, I followed the rhythm of the market as it unfolded, buying with the trends and exiting as the rubber band stretched. Trade location is critical to a high win rate. I want to trade where I have the highest probability of success. 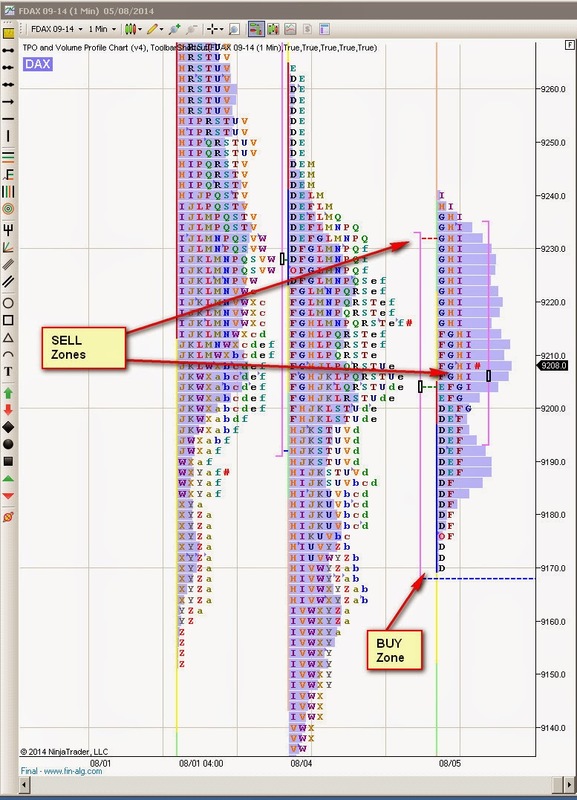 In today's range, that was at the VAH, POC and VAL of yesterday's Profile. We'll probably move out of this range later in the day but I have my other trading zones selected as price overlaps previous Profiles. The trick is splitting the Profiles into the correct distributions to reveal the support and resistance areas. Your chart is marked as weakness where CCI is dipping below 0 and the bid/ask delta is spiking green.. also cumulative delta is rising.. Can you elaborate on how this infers weakness? By "weakness" do you mean pullback or possible trend change or? You can see the weakness by the green delta when the big CCI is failing.In this case, change of trend has not happened. Can you also expand on your definition of accumulation? You can see the positive CVD with the sideways market as buyer(s) soak up what is being sold. On the floor you could see this. 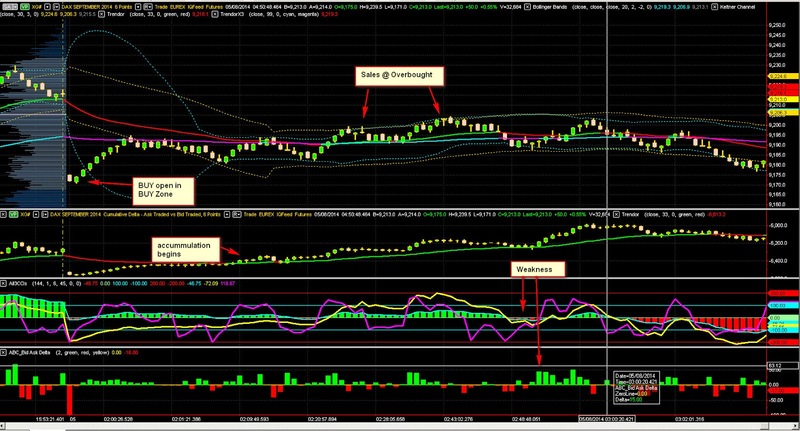 Here I use the EMA to distinguish between buying and selling cumulatively.